The other day, with the various urchins out-and-about, as good parents, we settled onto The Barthenon to keep a watchful eye on the kiddies. Naturally, as it got a bit hotter outdoors, I needed a little liquid refreshment to keep me from being overcome on such a warm day (I am quite delicate; like a rare orchid). I ventured to the beer fridge and opted for the bottle of oyster stout that my daughter had selected in the beer aisle at Roger Wilco (okay, so having my daughter pick out my beer might nullify my earlier comment about being a good parent). In any event, I had wandered into Roger Wilco and let my daughter fill out my mixed six. 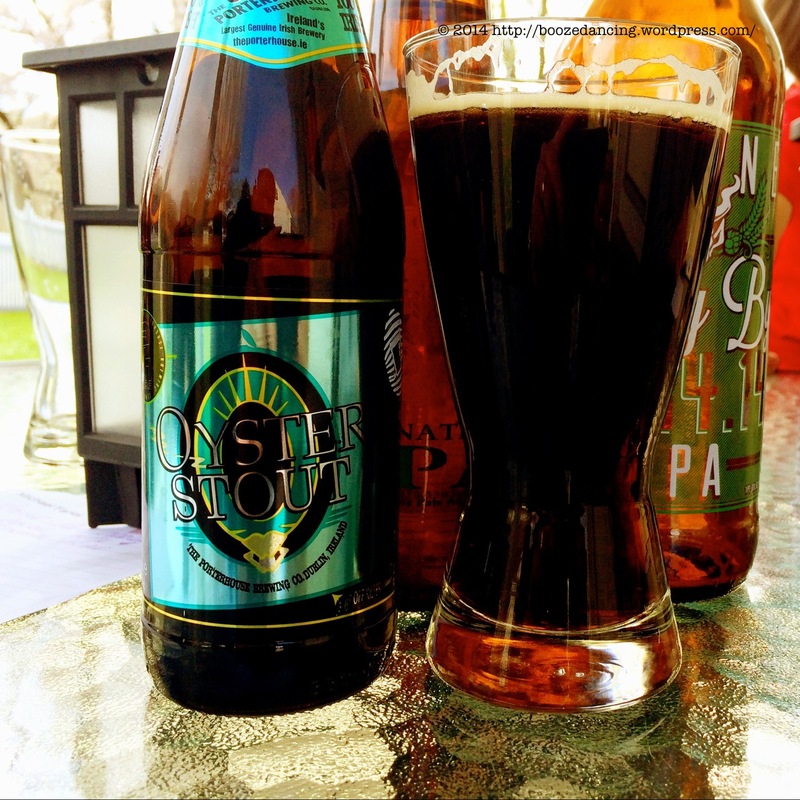 One of the bottles was the uniquely colored and interestingly capped bottle of oyster stout from The Porterhouse Brewing Company. The bottle had an almost iridescent color to the label and the cap had a pull ring that was reminiscent of a hand grenade or perhaps one of the old Schaefer cans that my dad would throw back in the ’70s. As my prior posts would indicate, I am a sucker for packaging and I loves me a good stout. But of course not suitable for vegetarians. . Appearance: Black and ruby tinged with lots of foam and good lacing. Aroma: A little bit of salt (like the seashore) with a heavily roasted aroma that was more coffee than chocolate. Taste: Just like it smells with very little bitterness (for all of the coffee aroma) and a short finish. I found this to be a bit flat. It wasn’t the best stout but it was very interesting with a nice flavor profile. It was a good Irish Stout with the added complexity of the sea brought on by the oysters. More importantly, it was very easy drinking, refreshing and it left me wishing my daughter had picked out two bottles.